Butter and flour 8.5 x 4.5 x 3 (or 9 x 5 x 3 )inches loaf pan and line it with parchment paper. Combine cake flour, baking powder and salt and sift it three times, set aside. In a small sauce pan over medium heat brown 2.5 Tablespoons butter until it’s nice amber color, remove the foam and set aside to cool. Whisk the egg with vanilla extract and set aside. Mix the butter on medium speed until it’s creamy, slowly add sugar and continue beating until it’s creamy. Add heavy cream and mascarpone, and beat on medium speed. Turn mixer on low speed and gradually add dry ingredients alternately with eggs. Add handful flour in chocolate chunks and toss them to cover evenly. Toss cranberries with a handful flour to cover them completely. Pour the batter into prepared loaf pan, smooth the top and gently tap the pan on working surface to remove the air bubbles. With a butter knife draw a line down the center of the pound cake and pour browned butter into the line. Cool the cake in the pan for 15 minutes, then remove from the pan and cool on the rack. When the cake is completely cooled prepare the glaze. With a mixer, cream together softened butter and cream cheese until smooth. Slowly add in powdered sugar and beat until smooth, mix in vanilla extract. Spread on top of the cake.Place the cake in the fridge until the frosting is set. 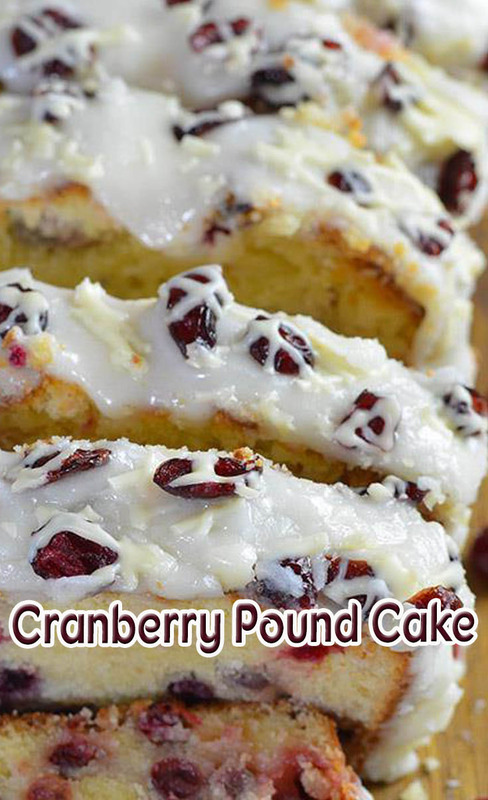 Sprinkle the cake with dried cranberries and drizzle with chocolate. (You can drizzle the chocolate with a spoon or transfer it into small zip-lock bag, cut off the corner and pipe the chocolate over the cake).